A porch should welcome your visitors with an unmatched elegance that unifies your outdoor space – your porch should be a dasso.XTR fused bamboo porch! The flooring you choose is important. You want a durable porch floor that is resistant to the elements, complements your home and provides a beautiful backdrop for the rest of the space, like dasso.XTR porch flooring. dasso.XTR fused bamboo porch flooring is stronger and more durable than most hardwood materials. Dasso’s patented fusion process uses two heating stages to return the bamboo to its natural rigidity. The result is a far denser, harder board than even strand-woven bamboo. In fact, dasso.XTR fused bamboo is among the stiffest, strongest outdoor material in the world – even more dense than Ipe! XTR provides a very striking aesthetic, exhibiting consistent color whereas tropical hardwoods have a significant variation in their color. Our fused bamboo provides a clean, consistent grain unlike any tropical hardwood which may, depending on grade, exhibit varying grain types. 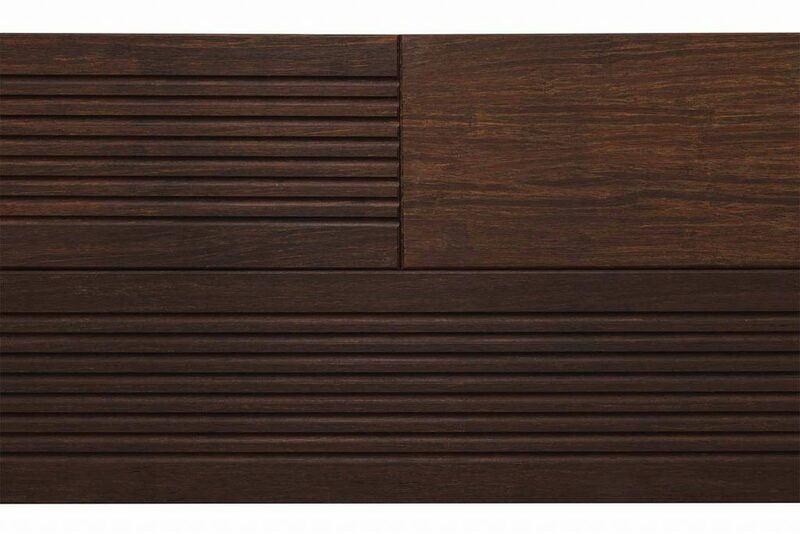 In addition, dasso.XTR porch flooring boards are available in a reversible profile that is smooth on one side, reeded on the other. This unique construction allows for several different aesthetics: smooth side up for a sleek look, or reeded face up for a more textured style. The design possibilities are endless with your dasso.XTR fused bamboo porch! 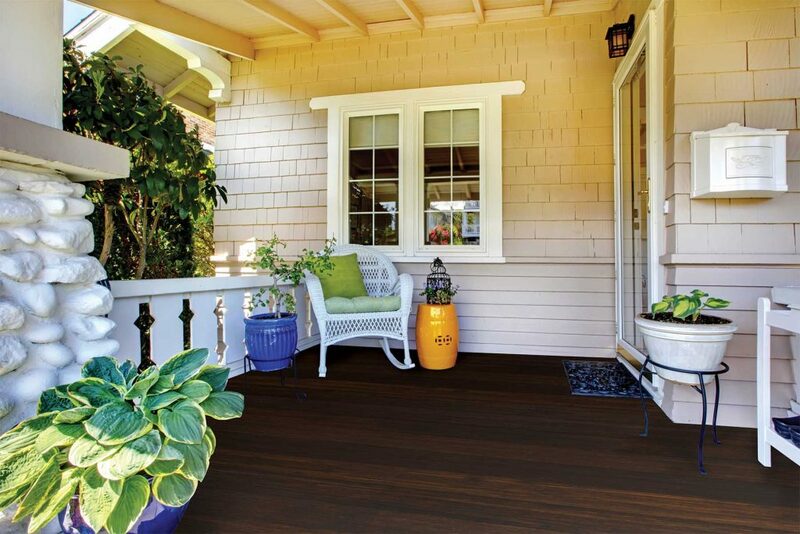 dasso.XTR fused bamboo porch flooring should be installed under covered porches only. If left untreated, including when the decking’s first oil coat wears off, boards will eventually turn a silver-grey patina, usually after about 12-18 months. 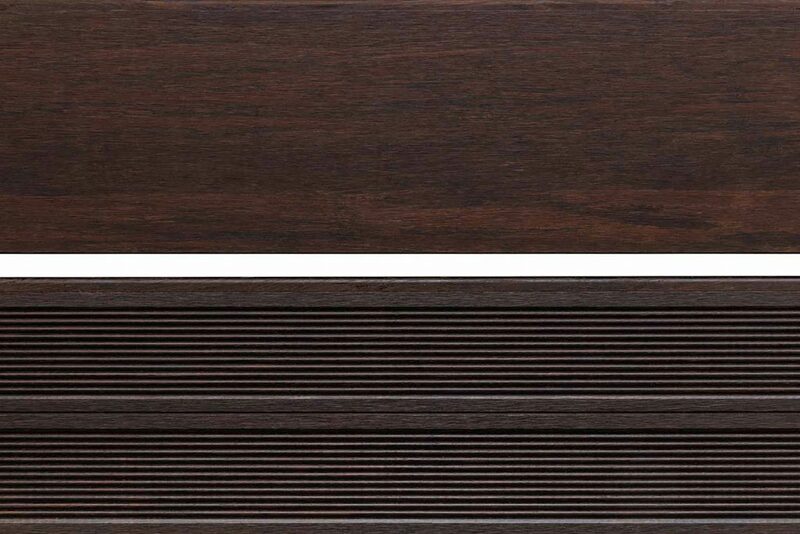 If you choose to maintain the rich, dark color of XTR, then it should be maintained similarly to exotic hardwoods. 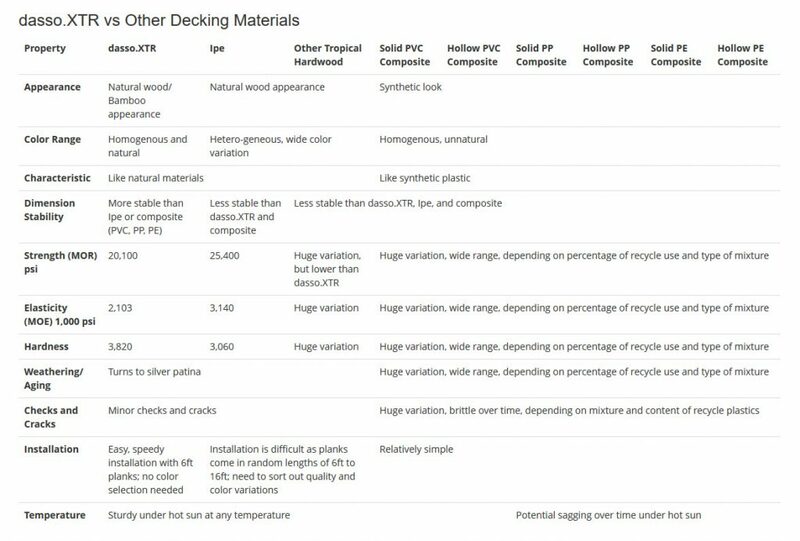 Available in more than just porch flooring, dasso.XTR also offers fused bamboo decking, RainClad siding, lumber and panels. To learn more about dasso.XTR and all available products, please visit our website.